Are you considering a switch to Spark Energy? Before you make any decisions, check out this guide which will tell you everything you need to know about this energy supplier, as well as what customers are saying. For an estimate of how much you could expect your monthly expenses to be, see the table below. This is only a vague quote based on a three bedroom house with average consumption, so your projection may be more or less depending on the size of your home and how many people live there. As well as offering energy to their customers, Spark Energy also has these benefits. These new meters puts you in control of your energy, by allowing you to see what you are spending on your energy, which appliances are costing you the most and means that your energy supplier is only charging you for the energy you use. When it comes to customer support, Spark Energy has a mixture of positive and negative reviews. Most of their reviews are positive, with many customers stating that the staff are helpful, give great advice and are very polite. Spark Energy is great to talk to customer service wise, east simple ways of doing things; they are also good at giving great advice and getting the job done. Excellent company! Spark is the absolute worst. I have been trying to get them to update the records to show I have a smart meter, which they installed over a year ago, for a month. Every time I speak to someone I get a different story. Spark Energy has both variable and fixed tariff options for their customers, giving you more control over your energy costs. Spark Energy has an excellent online reputation, with a 4-star rating on Trustpilot. 53% of their 14,515 reviews are positive, while 23% are negative and the rest in the middle, making it one of the most reviewed independent energy suppliers in the UK, and one of the most positively rated too. Spark lowered my monthly payment quite a bit. They did the switch for me, and I didn’t have to do anything. They are also supplying me with a smart meter soon. Sadly an appalling service. With a promise of refunding my £171.97 overpayment within 14 days, I eventually received it after five weeks. During that five weeks, they took a further £59. They are not replying to emails, seem entirely at sea, and I’ve yet to receive the refund of the £59 wrongly taken. DD left in place at their request for ease of refund. I left the property seven weeks ago! Unbelievable incompetence. 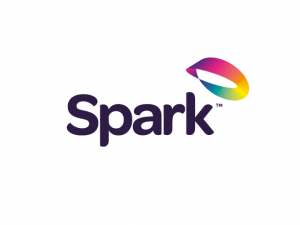 Spark Energy would be an excellent fit for customers that would like to get their gas, phone and broadband from the same provider. Spark Energy aims to meet the needs of the rental market, including tenants, landlords and letting agents. Offering their customers competitive pricing and by making sure they provide better customer service than the ‘big six’ energy companies.